and stresses the importance of lubrication in the 1403 Printer !! The standard IBM oils are given in Table 1. The oils 3, 6, 7, 10, and 12 are highly refined turbine or hydraulic quality oils. These oils are deeply extracted, dewaxed, treated with highly reactive clay, neutralized and filtered through diatomaceous earth. They are then compounded with anti-oxidants and/or rust inhibitors, pour-point depressants and, usually, a few ppm of a silicone fluid. The oils are refined and compounded in this manner to reduce the emulsibility with water (for steam turbine applications) and air entrapment (for hydraulic systems). 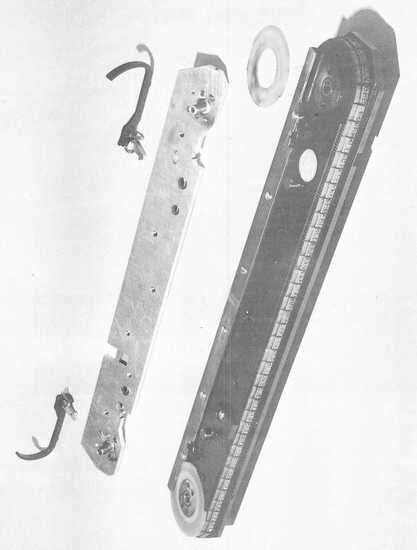 IBM #3 is used in the 1403 printer hydraulic system. A superclean version of IBM #6 is used in the 1301 Disc File hydraulic system. (0 - 80) 4 Oz. (-7 - 107) 4 Oz. Although most of the IBM applications do not require the properties of turbine and hydraulic oils, the light color, good oxidation stability (Low tendency to form bums and lacquers), odor characteristics and field performance have proven that these oils are satisfactory for IBM applications. The reason for having five different oils of the same general composition in our standards is to cover the range in viscosities needed by engineering. This is illustrated in Table 2. The viscosity of the oil selected for a specific application is determined by the speed and bearing size. The definition of viscosity and a explanation of how lubricants are selected will be given in subsequent sections of this report. IBM #4 and #9 are special types of lubricants. IBM #4 is a polyalkylene glycol which is recommended for contacts. This oil does not leave as much residue and petroleum oils near arcing contacts. IBM #9 contains polyisobutylene, which is a tackiness agent. This oil is limited to applications where greater adhesion to metal is required and a sticky residue is not objectionable. A Large number of other oils are available for special applications. These are listed by part numbers in the IBM Coded Parts List available in the local standards office. 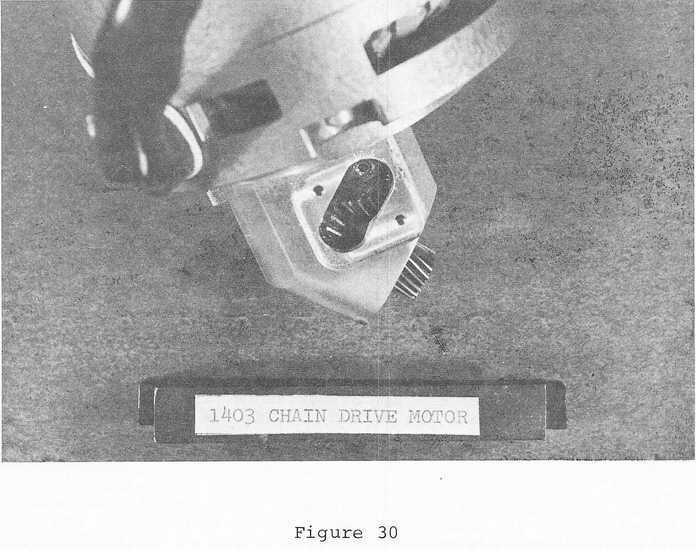 Printer Chain Drive Motor - The motor shown in Figure 30 was lubricated originally with a long-fiber sodium-soap grease selected by the manufacturer of the motor. In all bevel gear applications, oil in the preferred lubricant. In this particular application, the unit could not be properly sealed to prevent oil leakage. The high melting grease selected by the motor vendor did not provide adequate lubrication, and the motors failed prematurely. By replacing the grease with IBM #22 (available as IBM #22 but use is being discouraged for other applications), acceptable performance was achieved. When the gears overheat, a small amount of the grease melts providing adequate lubrication. IBM #6 is a turbine quality oil. The demulsibility requirements for oils of this type preclude the use of surface active agents. When the oil overheats, lacquers are formed. These are preferentially absorbed on the track. As the lacquer deposit builds up, the friction between the type slug and the track increases, the temperature rises again, and eventually a catastrophic failure occurs. Multi-viscosity engine oils contain polymeric dispersants and other surface active agents the keep the lacquers from depositing of the track keeping them in suspension. The surface active agents are preferentially absorbed on the track in place of the lacquer. The 5W-20 was selected since its viscosity at 100oF (180 SSU) was nearly equal to that of IBM #6 (150 SSU).